If you’ve seen the next Mar’s rover, named Curiosity (part of the Mars Science Laboratory--or MSL as it's called for short), you’ve probably noticed that it’s does not have solar panels, and that’s because it does not need them. 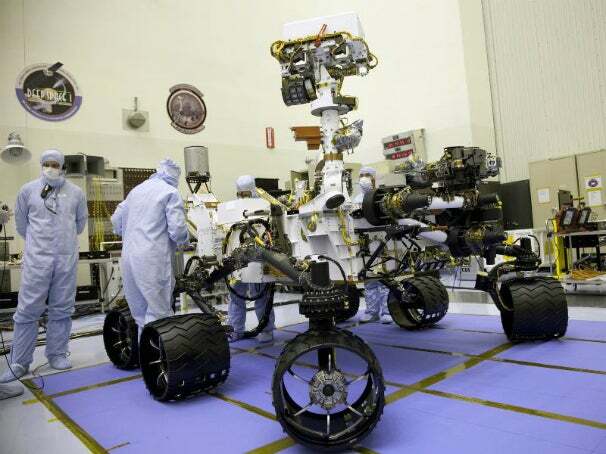 NASA has opted for a more reliable miniature nuclear battery to serve as Curiosity’s main power source. The scientists also hope that the internal power system will also be more reliable in the dusty Martian environment than the solar panels on earlier rovers that were rendered useless in the planet’s winter. How Does a Google Self-Driving Car Drive?